First in the line of my Home Server/Storage/Lab Setup posts will by my ESXi server. I will list the hardware involved, power usage, etc. This server will be my third generation of a home VMware ESX(i) server. 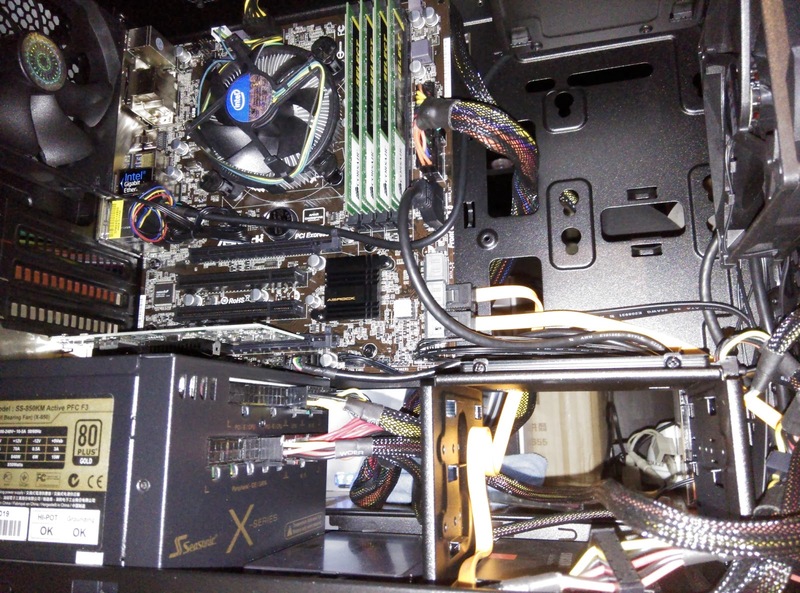 The first was an AMD Phenom II X4 940 with 8GB of memory in 2009. After that came an Intel Core i5-2500 with 32GB of memory (which is now revitalized as the ZFSguru machine) and the new machine is a Haswell based machine. 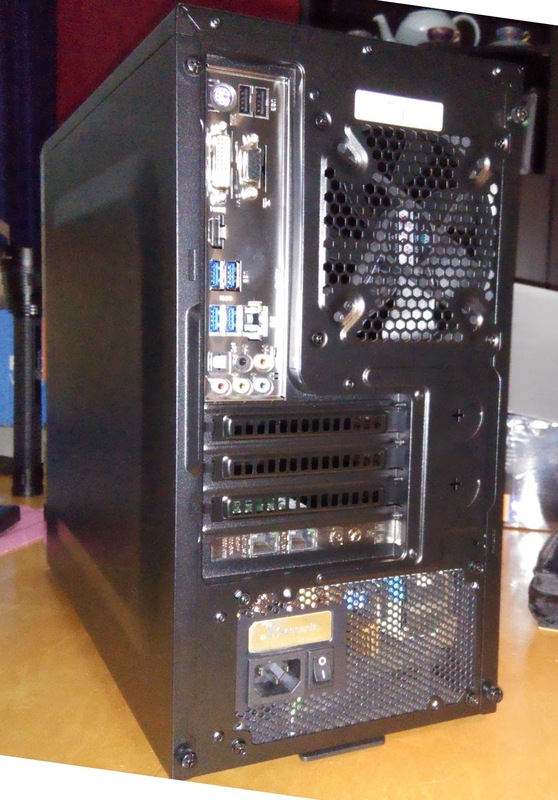 A cheap case with an overall good design and low weight. Nice and small, but in my case it won’t need to hold any disks anyway. I found the case to be surprisingly well built for the price and am quite happy with it. The two cooling fans aren’t ‘noctua’ quiet but they do seem to provide ample airflow. A completely ridicoulous 850 watt PSU but I had it as a spare and since it’s still a very high-quality gold level PSU I’m hoping the efficiency hit won’t be too bad. If in the future I need a high PSU wattage for anything, I will probably replace it with an excellent SeaSonic G-360 which costs about 60E. 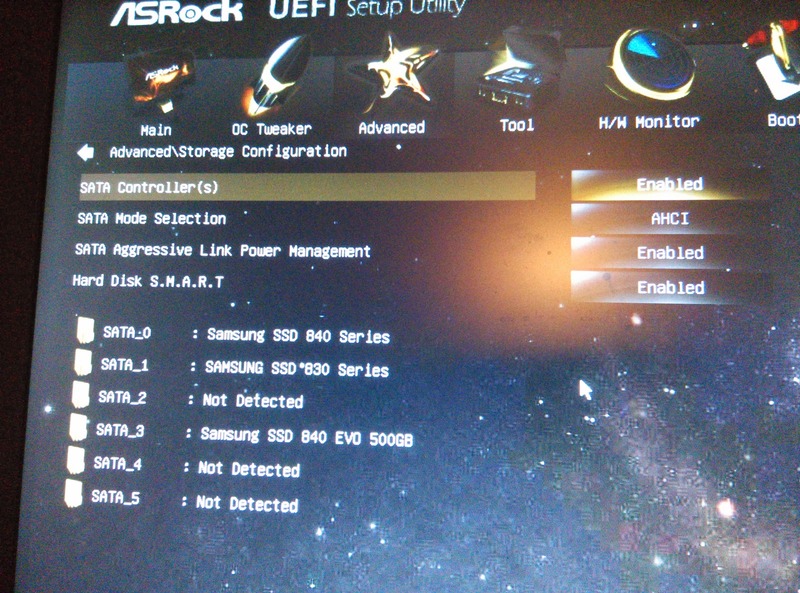 While I am normally an Asus fan as of late I have been trying Asrock motherboard with great results. 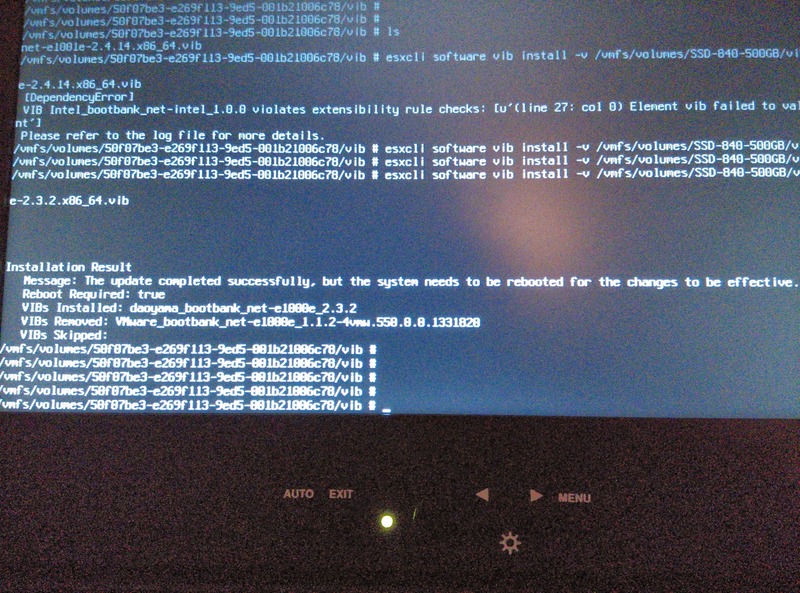 I had also read several other people having a good experience with this board and their VMware ESXi servers, ESXi is inherently very picky about hardware. The board features the H87M chipset giving us more then enough PCIe lanes for the expansion cards while having 6x SATA600 onboard. Another great feature of this board is having an Intel I217V onboard NIC. 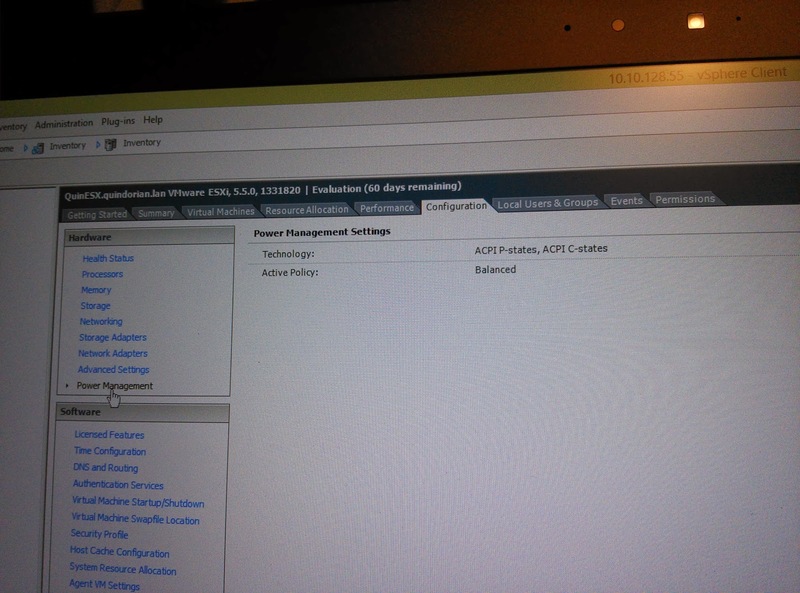 It’s not nativly supported by ESXi but there is a community driver which will enable it. This has been working without problems for me. 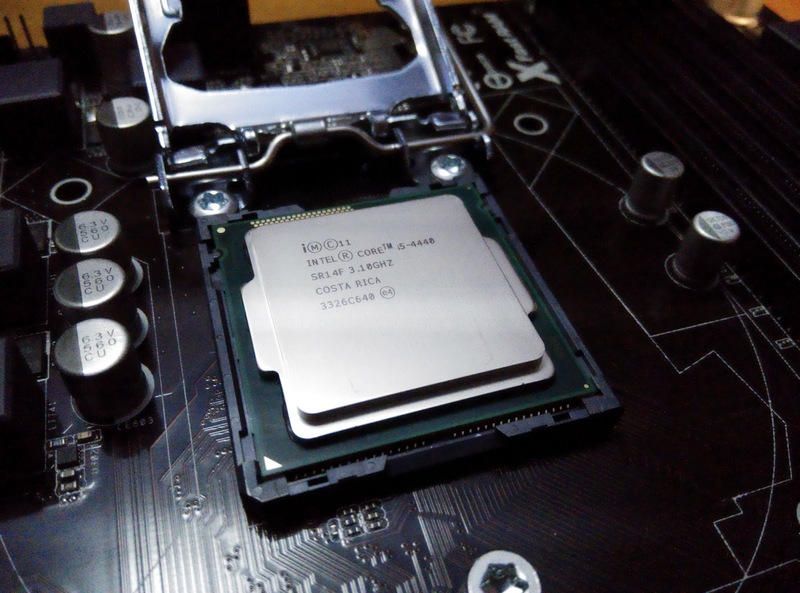 A simple Intel Core i5 CPU with a Quad-Core running on a base frequency of 3.1Ghz. This should give us plenty of power to run many VM’s without a CPU bottleneck. The CPU also supports all of the Intel virtualization instructions including VT-x (with EPT) and VT-d for PCIe passthrough support. Price/Performance wise this was the best CPU to buy. An i7 adds nothing more then Hyper-Threading and 2MB L2 cache which both CAN result in a performance improvement of about 12% max (or lower) but does at at least 33% to the price. I will be using the stock Intel cooler. The Memory I bought for the older version of QuinESX is still good and since memory has gotten very expensive I did not buy a new 32GB kit but decided to reuse it. The only disadvantage is that the memory does not run at 1600Mhz, but this shouldn’t influence performance too much. So 4 x 8GB modules. I decided to go SSD only for in the ESXi server. 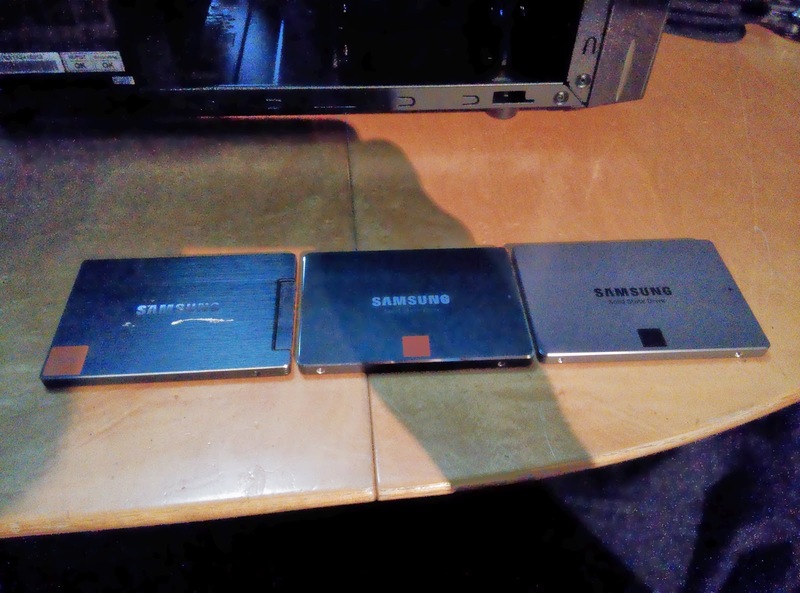 A big investment maybe, but these SSD’s, while not being the pinnacle of speed, offer a good 1.2TB of storage space. More then enough for any VM to run off, any large data sets needed would be used from my storage server anyway. With the 256GB SSD I wish to experiment running vFRC but will most likely end up using it as a DataStore also. The 830 should last multiple PetaBytes of writes and both 840’s should last ~1.2PB of writes. So I am not afraid of killing them anytime soon. 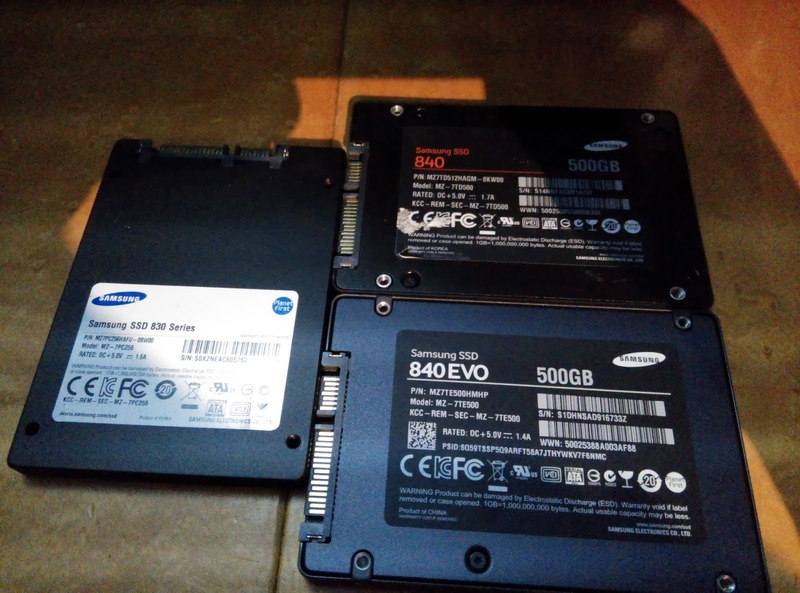 They also come with a 3 year warranty so I believe it’s a good investment to buy the bigger sizes because they will cost you less over time, give you more space and performance and will last longer (because of the extra cells. The 840EVO also features a very interesting design which has a triple layer storage system. 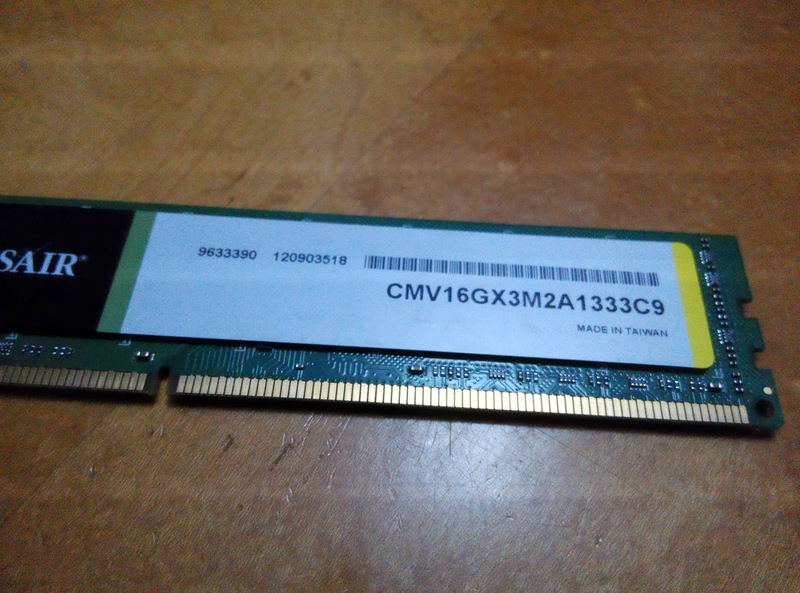 It has 512MB of RAM as the first tier, then 6GB of SLC memory (VERY fast writes, lasts very long) as the secondary tier and the rest of the memory is TLC. If you stay within the 6GB of the SLC buffer, write performance should always be great and you won’t suffer any adverse effects of the SSD having TLC memory instead of MLC or SLC. After using it for a while, very recommended! 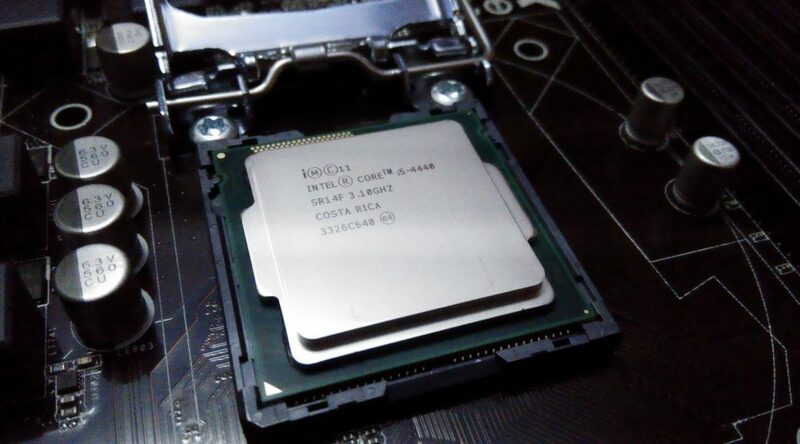 The server has the mentioned onboard Intel I217v NIC. 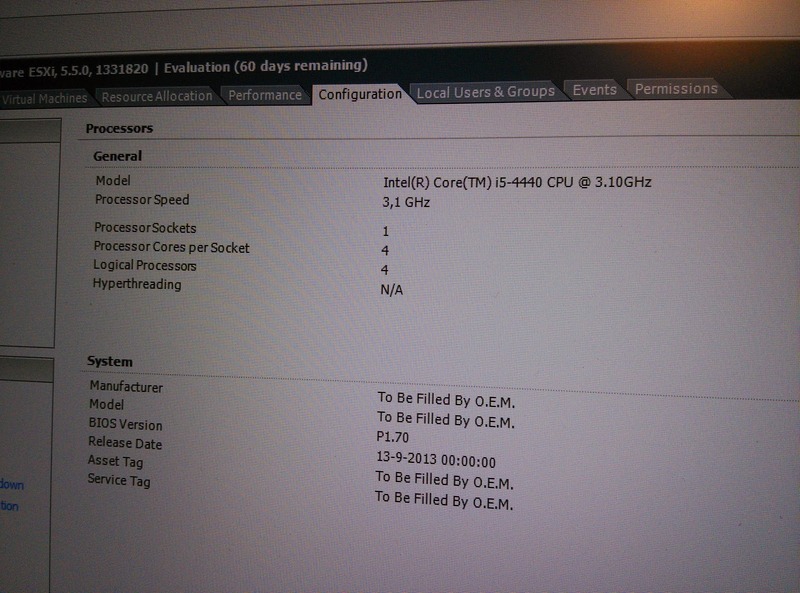 This NIC is not natively supported by ESXi and would need a customized ESXi ISO. 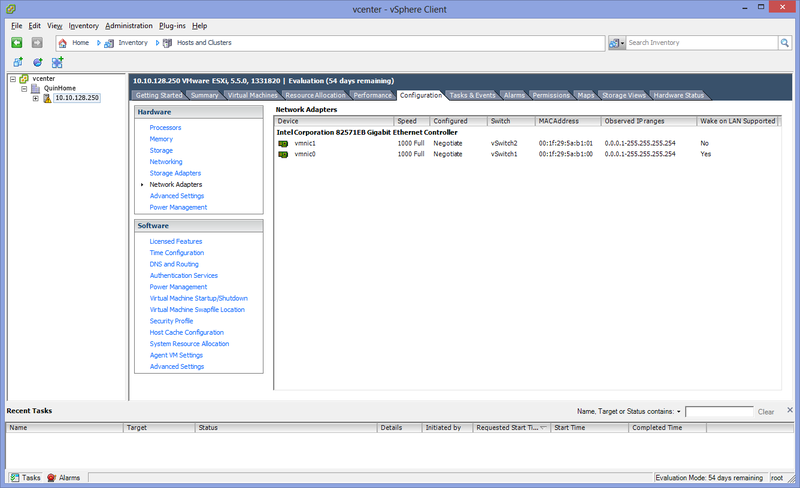 Now a days this can be easily achieved using a tool called ESXi-Customizer. To activate the NIC you will need the following VIB file (net-e1000e-2.3.2.x86_64.vib) which I have hosted on my FTP server. A more detailed guide on how to install it will follow below. Next to the onboard NIC I am currently using a dual-port Intel Pro/1000PT. These cards are on the HCL of VMware ESXi and thus work out of the box. No custom ISO needed. Well now, how does this all look when put together? See the stream of pictures below, my comments will be added in between. 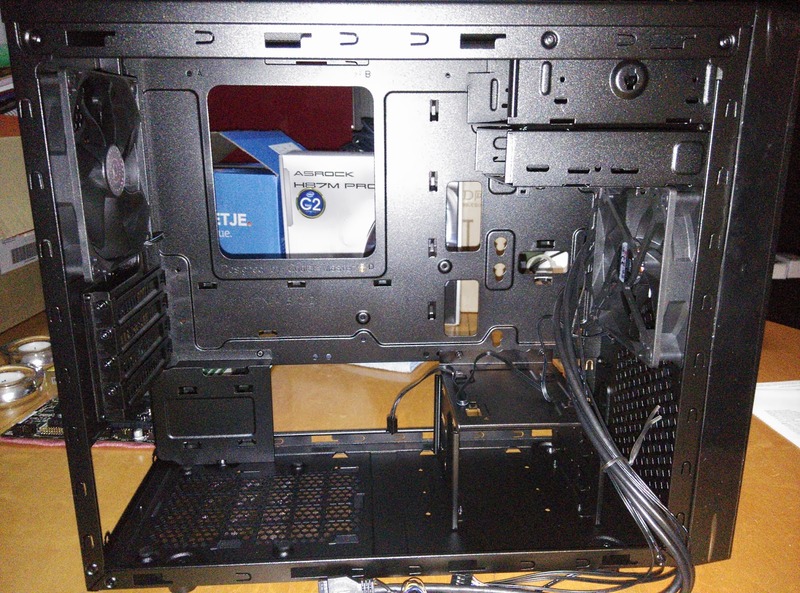 The bare chassis, nice and clean layout! 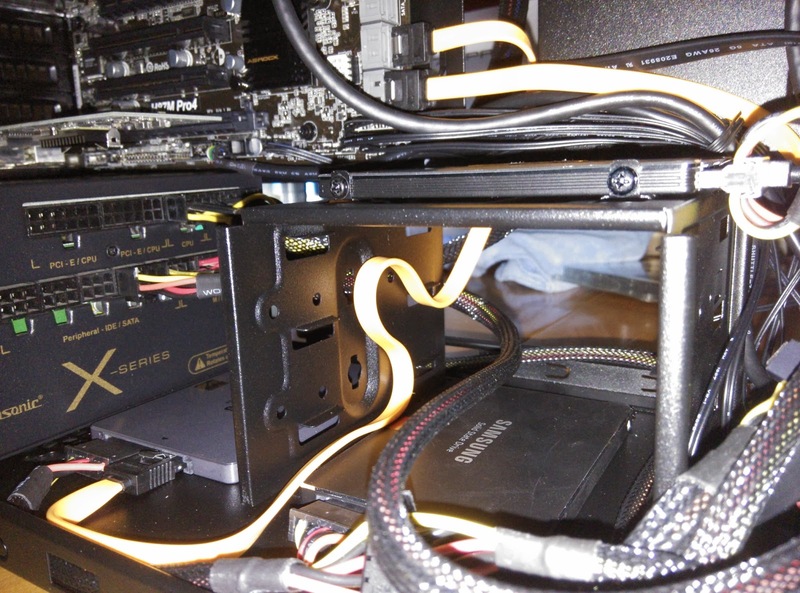 Since the age of SSD’s, placing storage isn’t a big deal anymore. 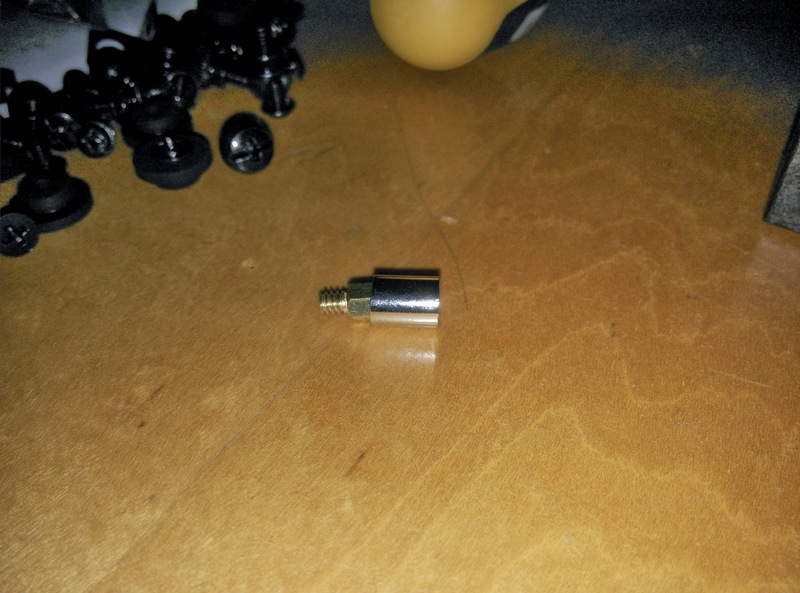 No more heat, weight or other annoyances to deal with… Let’s see! What’s this? 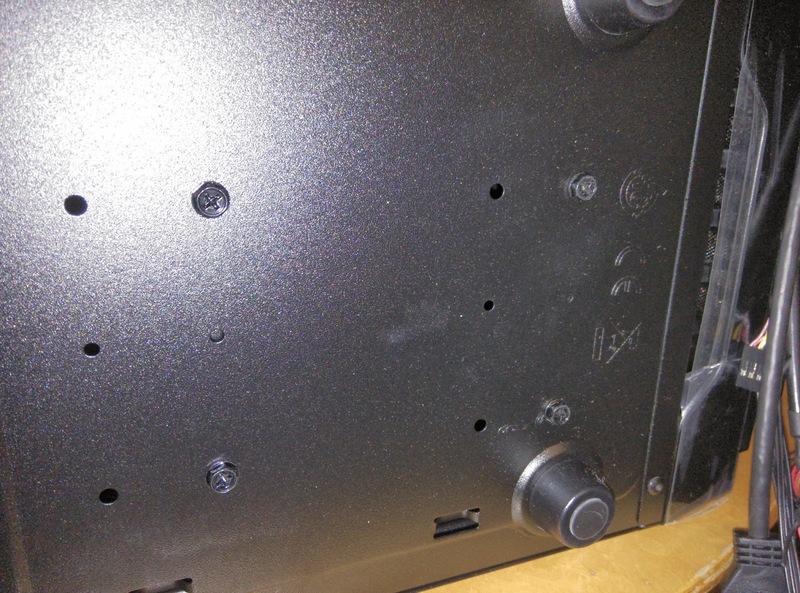 Screw holes on the bottom of the case which just might be enough to hold my SSD’s. 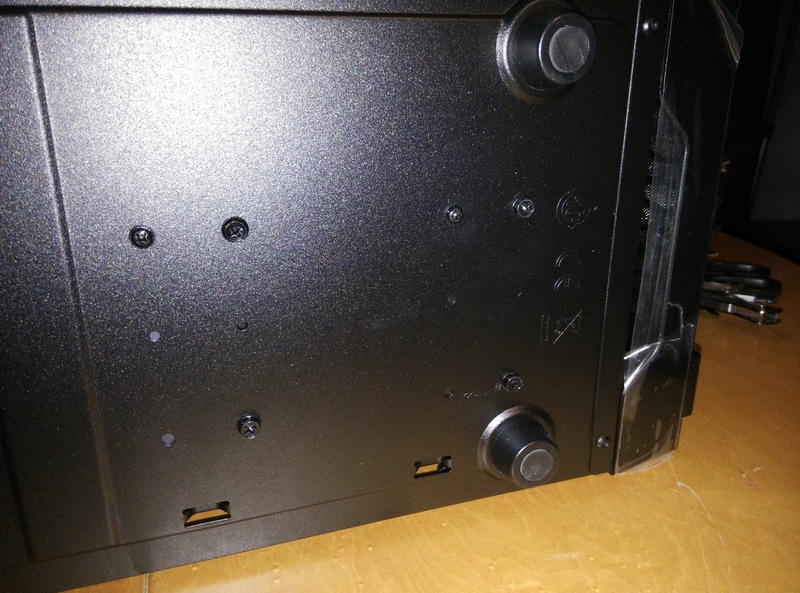 Note that the HardDrive retainer is fixed with normal screws and not riveted in. Very nice! Yes, it works brilliantly. 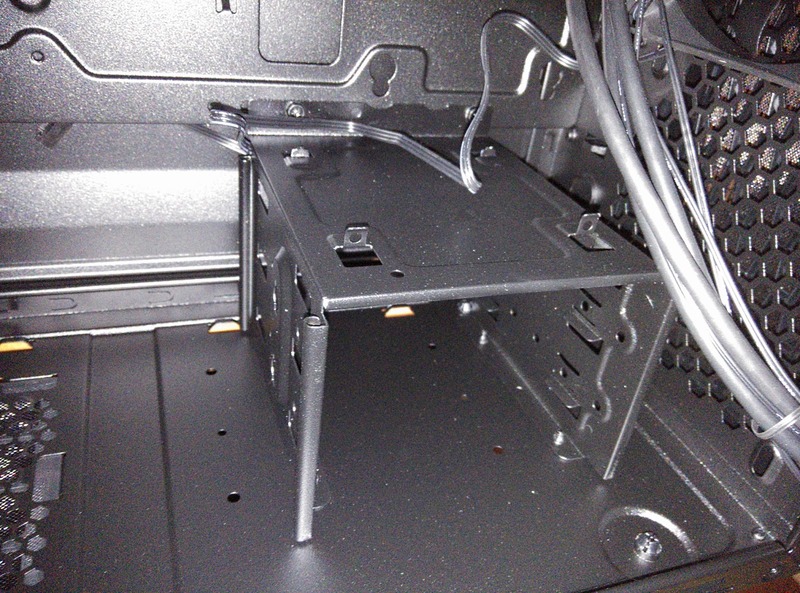 Only able to use one screw (the rest don’t line up) but that is no problem with SSD’s! Snug in place, out of the way, excellent! 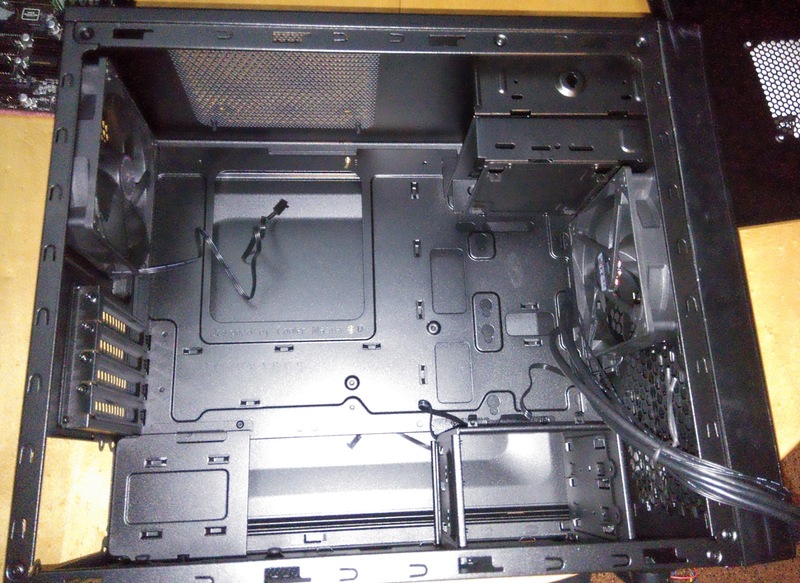 The back provides room to hide some of the cables. 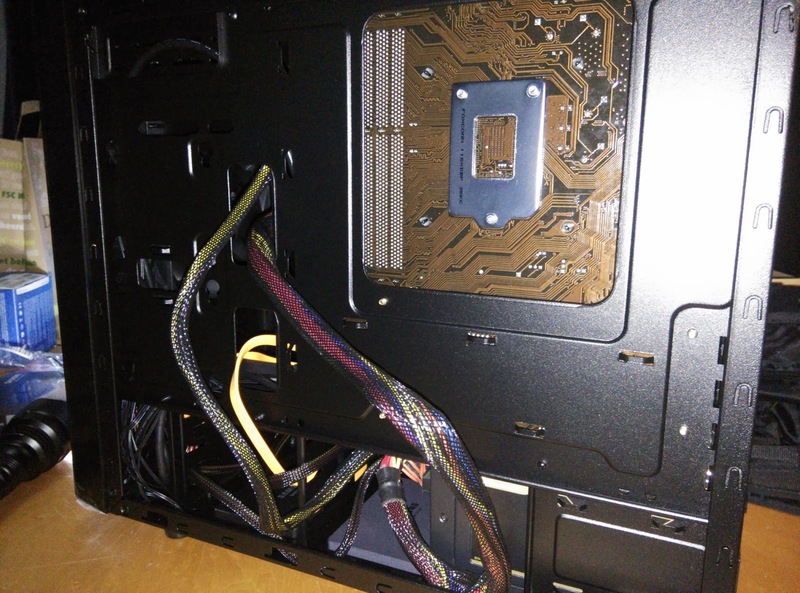 At first I was scared that the room behind the motherboard would be too shallow, but the case lids actually have a pre-formed buldge in them to compensate for this. Very well designed! 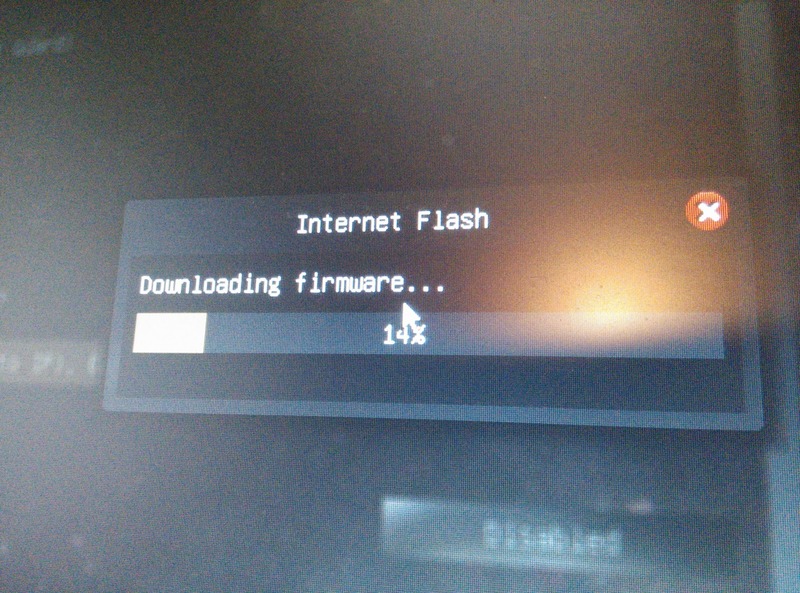 Asrock has a ‘in bios’ automatic flash tool which downloads the newest firmware for you automatically, in the BIOS, most awesome feature ever! Be sure to update before changing your settings! I will not detail the installation with lots of screenshots. More then enough (good) guides can be found on how to do this. I will list the basic steps you need to go to. 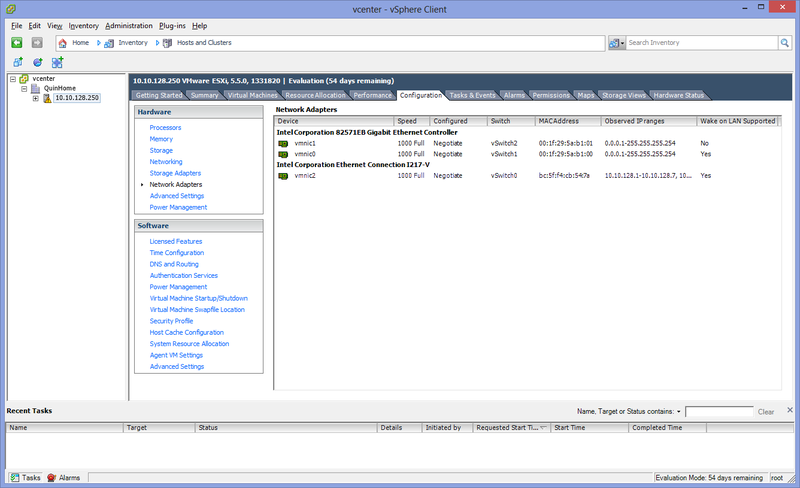 If all is well and ESXi boots, configure it’s IP and everything on the console. Also enable SSH en remote shell login from the ‘troubleshoot’ menu. All is well, don’t be alarmed by the “To Be Filled By O.E.M.” ESXi just reads a field in your BIOS that Asrock didn’t fill in. 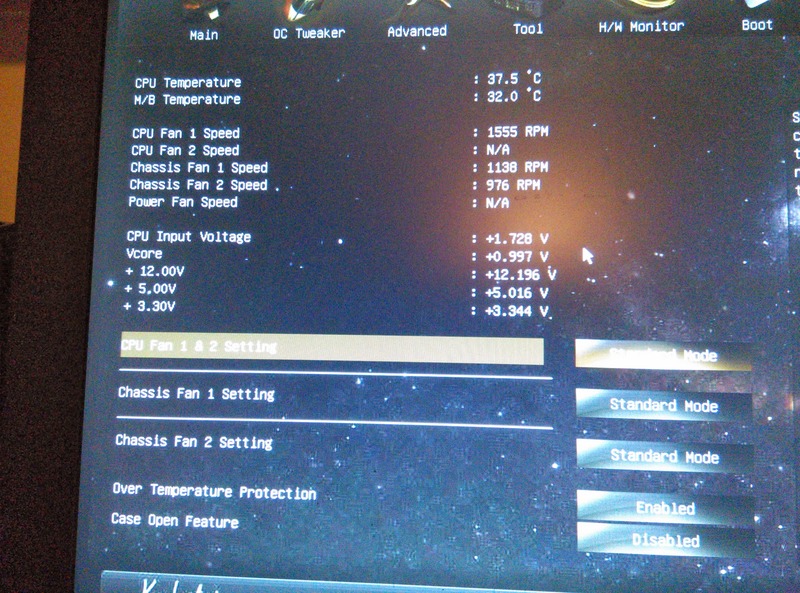 It does however list the correct BIOS version which comes in handy! Power Management is recognized and activated automatically, excellent! As always, comments or questions welcome! Hi, I have only I217-V onboard NIC on my ASRock MB. The NAS4Free VM performance is bad. I get only 90Mb/sec (11MB/sec) data transfer. Have you tried this NIC assigned to one of VM and see the performance? Please let me know. GThanks a lot for post and nice system. Hi Jay, Thank you for your kind comment! About your question, I have had no problems achieiving the a Full Gigabit in an ESXi guest (Windows or Linux) going through the i217-V NIC. Your number seems quite close to 100Mbit instead of 1000Mbit, maybe your switch is negotiating wrong? Are you using VMXNET3 inside of your VM's? That is the best NIC to use, not saying the Intel E1000 will not do it , but the VMXNET3 is better anytime. 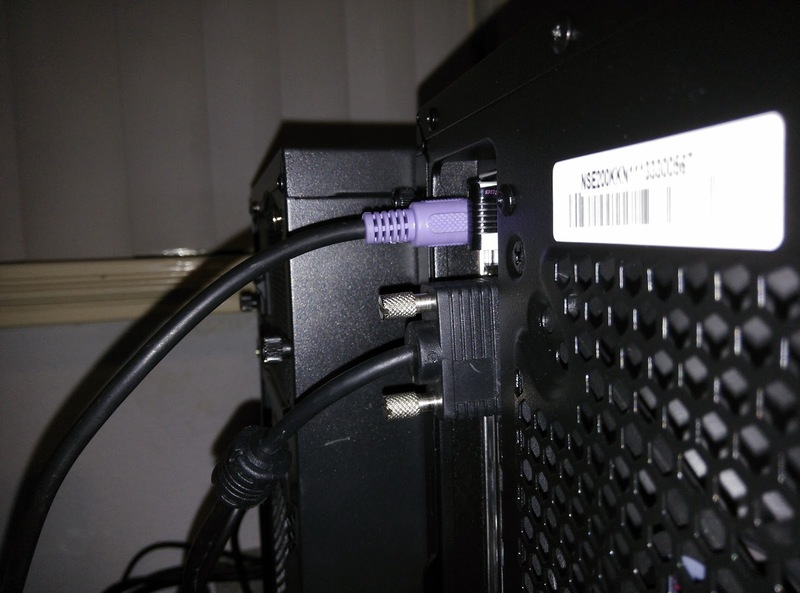 I had the same issue with my ASRock MB/I217-V NIC. 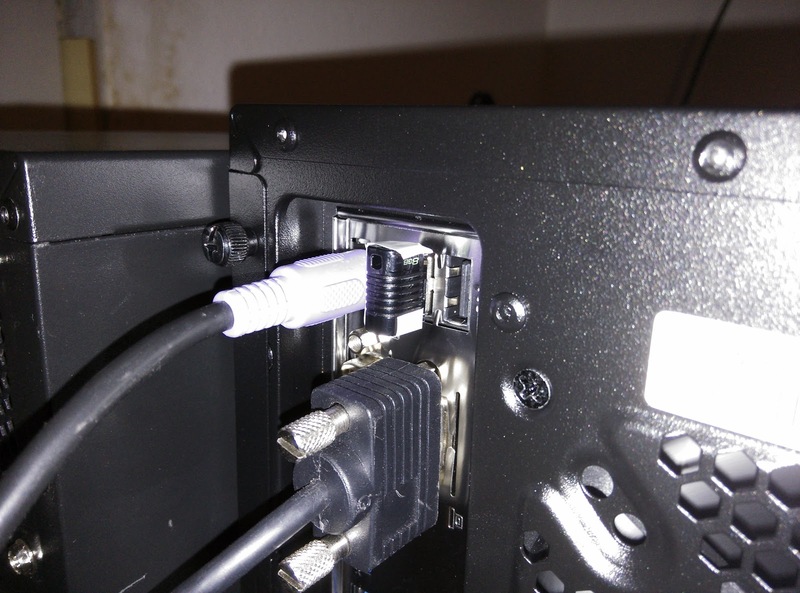 I swapped the old cable for one with certified for Gigabit, and the port now reports 1000M.